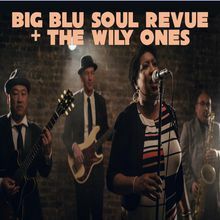 Big Blu Soul Revue has recently been performing throughout the West coast to strong and enthusiastic audiences, at festivals such as the Stern Grove Festival, Bay Area Blues, Festival, Gilroy Garlic Festival, Fog Fest, Union Square Live, For the Funk OF It Festival… and has regularly performed at famed Bay Area venues such as Yoshi’s, Sweetwater Music Hall, Boom Boom Room, Elbo Room, deYoung Museum, Ashkenaz, Lagunitas Taproom and many more. 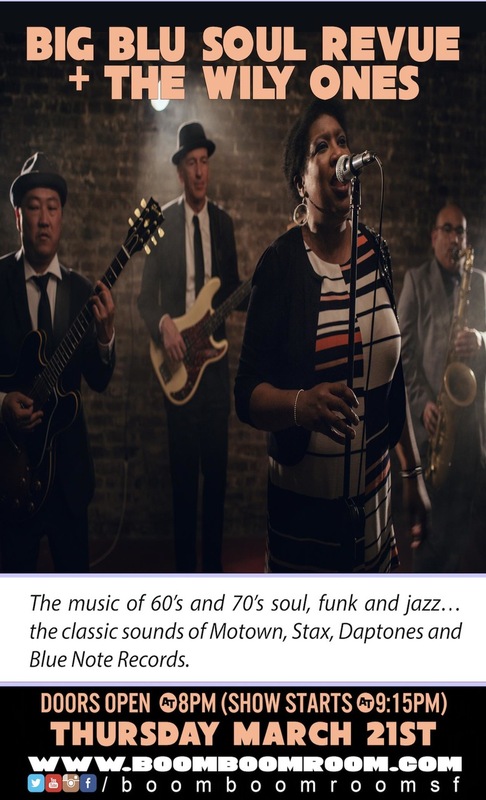 The band has also recently shared stages and co-bills with The Revolution (Prince), Fred Wesley, Glen David Andrews, Jelly Bread, and many more great artists. Come join us for an evening of funky, groovy live music with Shena van Spronsen on vocals, Fabio Reis on drums, Ari Caprowon guitar, Simon Rochester on keys, and Eduardo Amado on bass.